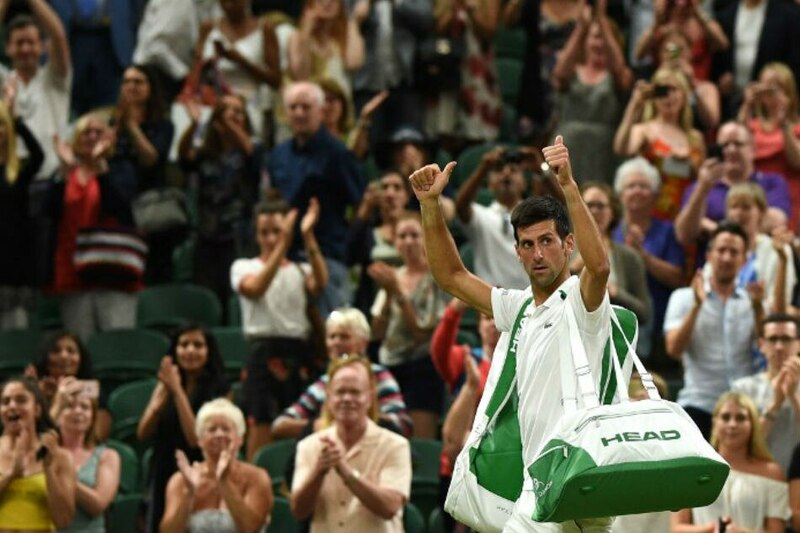 LONDON, United Kingdom - Novak Djokovic led Rafael Nadal 6-4, 3-6, 7-6 (11/9) in their Wimbledon semi-final when it was halted for the night on Friday. Djokovic, the three-time champion, saved three set points in the third set which finished two minutes past the 11pm (2200GMT) tournament curfew. The match will resume Saturday. Earlier Kevin Anderson became the first South African man in 97 years to reach the Wimbledon final after beating John Isner 7-6 (8/6), 6-7 (5/7), 6-7 (9/11), 6-4, 26-24 in six hours and 36 minutes.